National memorial honoring 300,000 disabled murdered in the Holocaust features multiple displays for visitors with handicaps. To the mournful strains of a single cello and tearful remembrances by family members, Germany Tuesday inaugurated a national memorial to the 300,000 ill and disabled people systematically murdered by the Nazis. The site next to the Tiergarten park is the fourth and likely final major memorial in Berlin's city center to groups targeted in the Holocaust, following monuments dedicated over the last decade to Jewish, gay and Roma victims. It honors a long-neglected class of people with few vocal advocates in a move historians and relatives said was woefully overdue. "This is a day we have long awaited," Berlin Mayor Klaus Wowereit said before an audience of some 500 guests at the city's renowned Philharmonie concert hall. Following years of lobbying by relatives and concerned Berliners, the German parliament voted in November 2011 to erect a central memorial to the victims of the Nazis' cynically labelled "euthanasia" program. the 'euthanasia' murders and protected scientists who became criminals," Wowereit said. The memorial includes a wall-like sculpture made of blue glass and information panels detailing the Nazis' campaign to exterminate the sick, the physically and mentally handicapped, those with learning disabilities, and people branded social "misfits." It is on the site of a now-demolished elegant villa at Tiergartenstrasse 4 where more than 60 Nazi bureaucrats and like-minded doctors worked in secret under the "T4" program to organize the mass murder of sanatorium and psychiatric hospital patients deemed unworthy to live. The Philharmonie was built on the same plot of land after the war and thesolemn ceremony in its lobby featured a poignant musical accompaniment by a solo cellist. Hartmut Traub fought back tears as he paid tribute to his uncle Benjamin, a schizophrenic who was murdered in a gas chamber in 1941 at the age of 27. Based on his own research, he offered a haunting account of his uncle's death. "Benjamin stood wedged with 63 other naked men in the narrowest of spaces. The doors closed," Traub said. "Carbon monoxide streamed from the 'faucet' of the showers. Benjamin felt sick. He lost consciousness. After a few minutes he and his 63 comrades in suffering suffocated on the gas." Between January 1940 and August 1941, doctors systematically gassed more than 70,000 people at six sites on German-controlled territory. After protests from the Catholic Church and outraged citizens, the T4 gas chamber campaign stopped. But the killing continued. From August 1941 until the war's end in 1945, tens of thousands more died through forced starvation, neglect or fatal doses of painkillers such as morphine administered by purported caregivers. Many underwent bizarre medical "experiments" and forced sterilizations. Few of the killers were brought to justice after the war, despite high-profile trials like those of doctors at Nuremberg 1946-47, and many of the implicated medical professionals simply continued with their careers. Neither West Germany nor the communist East recognized or compensated the survivors, and many families harbored a sense of shame about relatives who were seen as less than human. 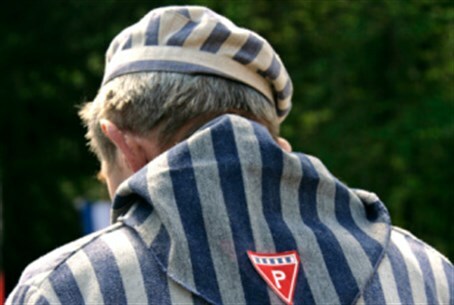 Sigrid Falkenstein, the niece of a learning-disabled victim, Anna Lehnkering, said the T4 programme paved the way for the broader genocide under the so-called Third Reich. "The systematic murder of the weak and defenseless, sick and disabled people, was a test run for all the subsequent mass extermination campaigns of the National Socialists," she said. "More than 70 years after these crimes, we finally owe these people a place in the memory of our families and a place in the collective memory of our country." Traub and Falkenstein joined political leaders in laying single white roses in memory of the victims at the foot of the memorial. It has been designed to accommodate visitors in wheelchairs, and includes audio commentary for the blind, videos with sign language for the deaf, and simplified texts for the learning disabled.